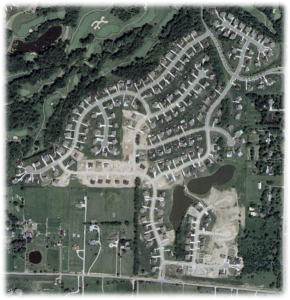 How many homes are in our subdivision? We have 249 homes in our subdivision. The real-estate agent or title company should contact the treasurer via treasurer@crookedtreeca.org. They will have questions that can only be answered by the treasurer for your closing. What are the annual assessment fees used for? Primarily, the funds are used for the care and upkeep of the communities’ common areas, including watering systems, lighting, and lawn care and treatments. The retention ponds are also treated and maintained by these funds. The remainder goes to pay printing, postage, legal fees, and other miscellaneous administrative expenses. How do I run for the board? There is a general meeting in the spring of each year. At this meeting there is an election of officers. Nomination letters are mailed to each residence, two months prior to this meeting to announce the number of positions available on the board. Anyone interested in a position on the board should fill out these forms and mail them back to our P.O. Box. One month prior to the meeting, a proxy letter along with a brief bio of the person(s) running for the board will be mailed to all residents. This is done in order for all homeowners to have a chance to mail in their proxy in the event that they will be unable to attend the general annual meeting. There needs to be 2/3 of the homeowners present (each home has one vote) or by proxy in order to hold an election of officers. What is the purpose of "The Lakes"
"The lakes" are retention ponds and are required for storm water run off so that heavy rains don’t overload the city drain water system. Our community has over 285 acres that feed into our two retention ponds. Rain water from each house, lot, and street runs into these ponds. Who should I contact if my street light is out?